Harare - First cut is the deepest - and this is true for Oliver “Tuku” Mtukudzi’s first wife Melody Murape. Decades after divorcing the departed music icon, Melody still has remnants of love for his former husband, who she alleges was grabbed from her. After Mtukudzi's death, she has broken her silence and revealed details about her marriage to the music icon. Mtukudzi became the first musician to be declared a national hero and will be buried in his home village of Madziwa tomorrow after his family turned down the offer to have him buried at the national heroes acre. Burdened with the loss, Melody spoke to the media. "Tuku did not divorce me. It’s me who surrendered as I was against polygamy and moved out of our Eastlea home, and people must get it right. Many people peddled falsehoods that I eloped to a soldier. "Those were all lies. Tuku was the only husband I knew from the age of 18. When I was leaving our matrimonial home, Tuku cried and then locked me up for almost a week, preventing me from leaving. I just said I was not interested in polygamy. “I am the first wife. I am the one he wedded in 1979 at Gwanzura Stadium before he became that famous. As a housewife, I would remain home when Tuku went on international trips, but upon his return, he used to spoil me a lot. "Tuku used to take care of me. I loved him. He also loved me and I know he died while still loving me. 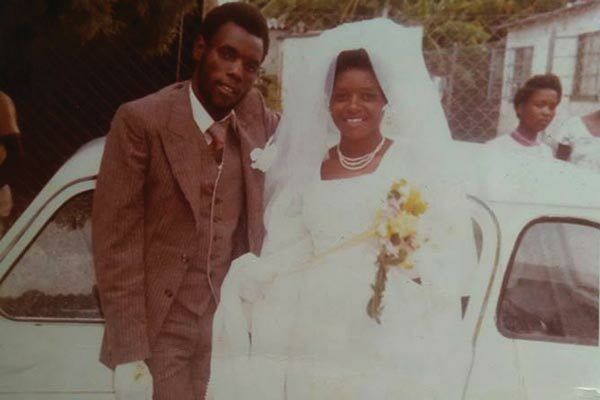 I married Tuku at the age of 18. I was still young. "He was staying at Old Highfield and I was staying at Engineering and we used to meet at Machipisa Shopping Centre."